Yesterday, May 9, 2011 is DyCode’s 4th Birthday. 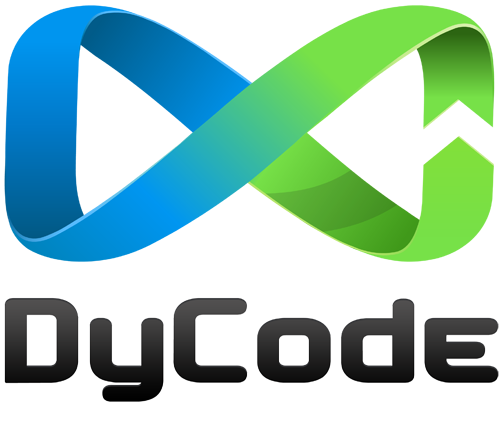 2011 is the fourth year of DyCode’s existence. We’ve been growing, and we gain more and more achievements during last one year. Something new happens in our company, this years we officially has our new division, Mobile Apps Division. We’ve been developing awesome mobile apps for all modern platforms. At the end of 2010, our well-known long-existence Enterprise Apps Division gave us a big gift by winning the Indigo Award with our beloved PORTMAP. And also our awesome mobile app – Movreak – gave us few awards: “Asia Top 50 Apps”, “Best Mobile App” of SparxUp Award, and was one of the winner in IMULAI 3. This is still just a half way year on 2011, but we’ve been experiencing huge surprises and happiness. But we’re not finish yet, we’re just start and so ready to catch more achievements ahead. Few photos during the celebration of 4th birthday. Sajian Sedap app is a social recipe app. Beside as recipes database, we leverage social network for sharing recipes, trending recipes & sharing cooking experience (kitchen story). Currently available for Symbian^3, and iOS is coming. This app is the result of our collaboration with sajiansedap.com by Kompas Gramedia. This is the first seminar in Indonesia that we know facilitating debate between modern Smartphone Operating Systems. Held in Universitas Islam Negeri (UIN) Syarif Hidayatullah, Jakarta on May 4, 2010, the seminar brought the heat between WP7, iOS, BlackBerry, and Android. Too bad there’s no representative from Symbian and Palm, that would make the debate more complete. It was fun as the speakers of each platforms are able to create a healthy debate condition, yet informative. DyCode CEO, Andri Yadi, was involved as speaker talking about iOS. However, as a Microsoft MVP and being active Windows Phone 7 developer, he and Puja Pramudya (MVP, Device Application Development) also spoke about WP7 and has “obligation” to tell what’s the best of WP7 compared to Android and BlackBerry. The heat between iOS and Android is more seen compared to other OSes, and that reflects what happen in the real world nowadays. Above all, it’s just for fun. Each speakers are not coming from the principals of each OSes, so there’s no formal obligation to fight for them. To emphasize our vision and mission in mobile app development, DyCode become one of the sponsor on “Nasional Seminar Mobile Development: The Future of Mobile Application” that was held in Universitas Negeri Yogyakarta on April 17, 2011. Beside DyCode this event also sponsored by Nokia, Axis, and other local companies in Jogja. In that seminar, DyCode CEO, Andri Yadi delivered a talk about Mobile Application Development. He talked about various mobile application development platforms, Windows Phone 7, Symbian, and iOS, among other things. He also gave demos of how to start creating apps in those platforms. But on this seminar he definitely gave something new and fresh for the audience who mostly are students, and different from the other seminars that he used to speak. He made a demo of how to make a remote control app for a Parrot AR.Drone, a quadrocopter (helicopter with 4 rotor). He played the drone on the hall with his remote control app that he has build just a few moment before it. The audience seemed very excited, because they could see an app that’s fun and real, and demoed in the realtime. Hopefully, with the excitement like that will encourage them to start make mobile apps. Thanks UNY and Jogja for the excitement!